Spacious Super king or Twin bedroom with pocket sprung mattresses with Corona over the bed. 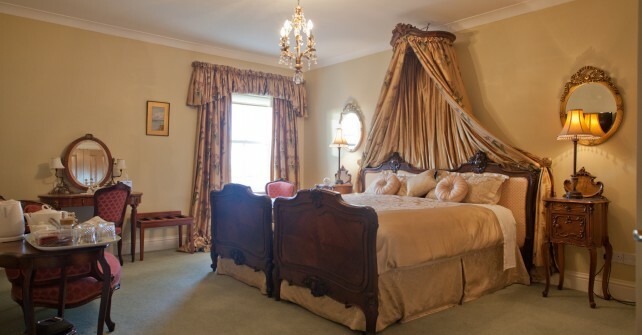 A beautiful furnished bedroom with Antique French beds and furniture, positioned at the side of the house facing Paxton. Pure wool carpet and Egyptian cotton bed sheets, 32″ flat-screen LED TV, with hospitality tray. Settee in bedroom. En-suite with bath and shower over, toilet, wash hand basin and shaver point, Molton Brown soap and hand cream.